One by one, the teenagers emerge from the home locker room ready to find their rides for the commute home on a school night following another victory. If you know them by their names in the box scores and not as faces in a yearbook, you probably wouldn’t be able to recognize who is who as they walk through the hallway en route to the court at Paul VI High School. But there’s no chance you’d miss sophomore Wisler Sanon. The 16-year-old from Sicklerville is sporting a puffy winter coat that’s reminiscent of a Starter jacket from the 1990s, sans an NFL logo. Sanon’s jacket is pure gold. No, really. It’s close to the shade of a San Francisco 49ers helmet, except you decided to mess with the filter of that helmet on Instagram and turn up the brightness a few notches. Just as you wouldn’t be able to miss Sanon heading out to the parking lot in his killer puffy coat, you’d also have a tough time not seeing him stand out on the basketball court. The 6–1 guard can deceive you when he’s setting a screen or holding the ball almost nonchalantly at the top of the key. 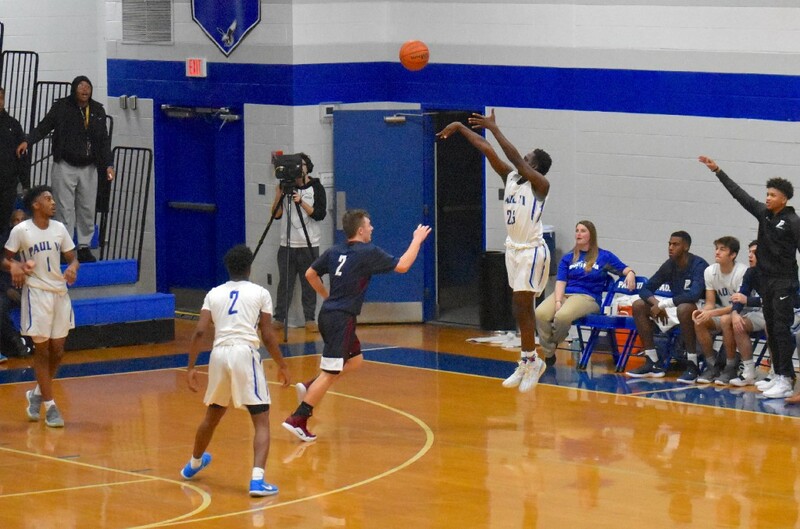 But when Sanon takes off — when he gets his legs moving, whether it’s knifing his way through the defense toward the basket or tracking down a defender on the other end — there are few people in South Jersey who can keep up. Imagine the fastest hoops players in South Jersey are lining up for a sprint. The gold is fitting, isn’t it? “Over the years it’s been very rare to have a kid with a motor like he has, they come around maybe once every 30 years,” Devlin said. But to simply call Sanon fast or flashy would be an injustice to his profile as a talented underclassman. He can run, sure. But he can also shoot from behind the arc and he prides himself on his tenacious defense, too. Sanon put his well-rounded game on display earlier this month against the team just about everyone had labeled as the best in South Jersey. 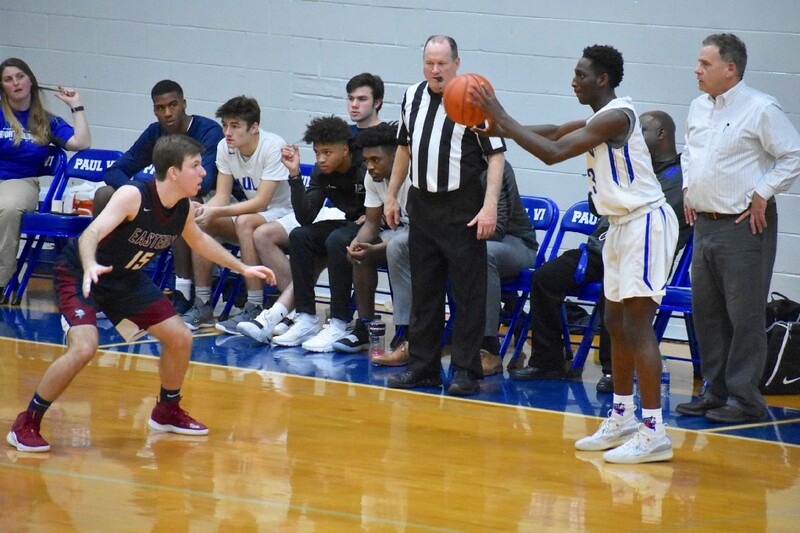 Sanon scored 20 points, grabbed four rebounds, collected three steals and two assists to earn MVP honors of the the Shoot Down Cancer Classic at St. Augustine Prep on Jan. 12 in Paul VI’s 59–52 upset over defending Group 2 state champion Haddonfield. 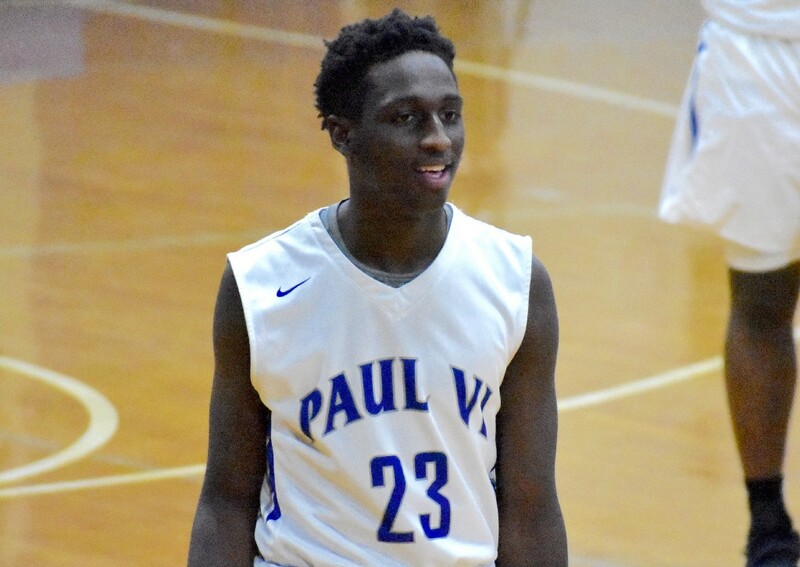 Paul VI’s basketball team hasn’t won a state championship in more than 30 years (since 1988) despite having some talented teams under Devlin in the last half dozen seasons. And with North Jersey’s seemingly endless supply of parochial school powers, perhaps a state championship, while still their goal, is a bit beyond their wildest dreams. But with a deep team that includes both senior talent and contributing underclassmen like Sanon, the Eagles should probably be considered favorites, at least through mid-January, in a crowded South Jersey Non-Public South A field that includes St. Augustine, Camden Catholic and Bishop Eustace. It’s also hard to teach speed and enthusiasm, two traits Wisler brings every time he hits the floor. 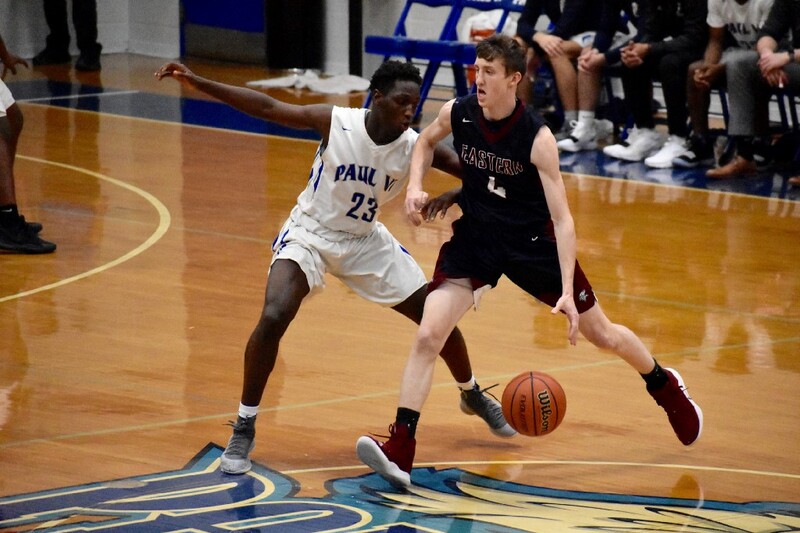 “He’s very talented, he’s got a motor that no other kid (has) and he’s relentless on defense,” Devlin said. “He’s still learning not to be overzealous. But he’s just a great defender and he loves to get out on transition. And offensively he’s just getting better and better. Ask Wisler about his permanent smile, which complements his puffy, bright coat nicely, and you realize you probably didn’t have to ask the question in the first place. 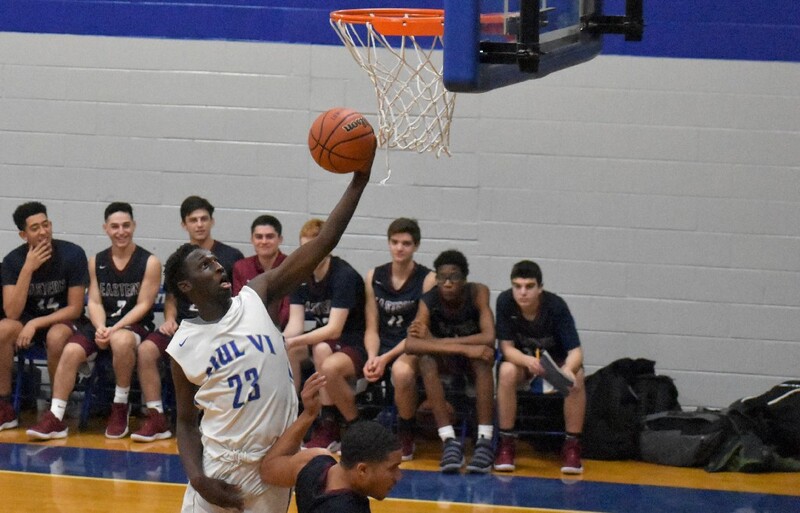 He’s only in his second year in high school, he’s playing well (11.1 points per game through Jan. 21), and his team is rolling (9–2, ranked 17th in the state by NJ.com).